What is an Author’s Platform and How Do You Build One? Every author needs a platform--a built-in readership. You need one to sell your books, ebooks and other products and services. You need one if you want to land a contract from a publishing company; they expect you to have readers ready and waiting to purchase your book. 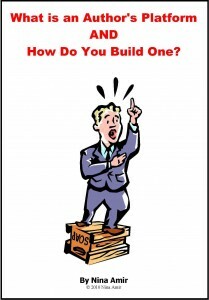 Thus, you must build this platform long before you decide to release a book. You need to do this prior to releasing any other printed product as well.